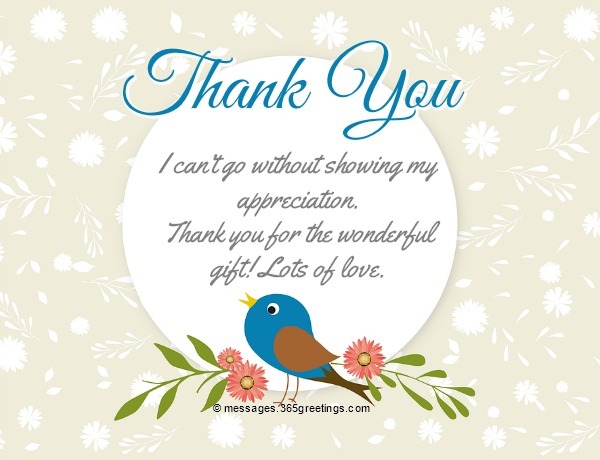 Thank you note is the simplest and effective way to express your gratitude for the gift you have received. These kinds of gestures also show your etiquettes. Thank you notes should clearly depict how grateful you are on receiving the gift. It should show your humbleness, your happiness and your gratitude. 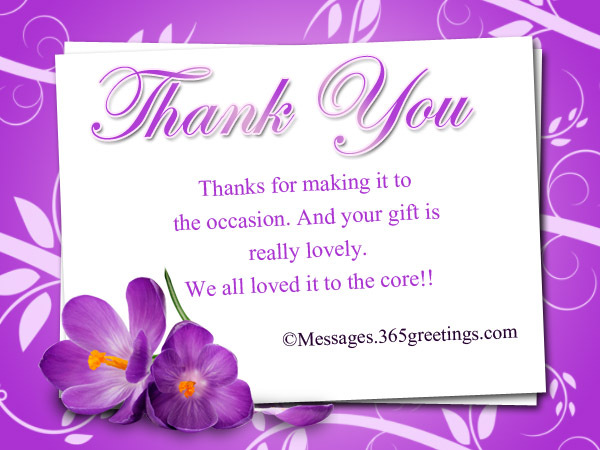 If you are finding it difficult to write thank you notes for gifts, then this post is surely going to help you. 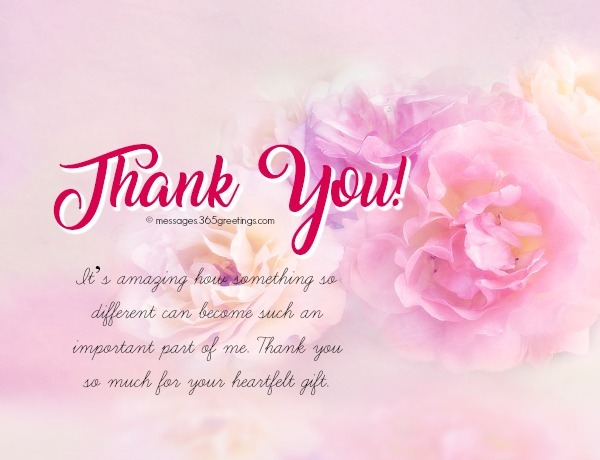 In this post, I have jotted down some sweet and pleasing thank you notes. You can seek idea from these sample thank you notes for gifts. You can either use these thank you notes exactly or you can edit or re-write these in order personalize. This is our first section which has some sample thank you notes gifts. 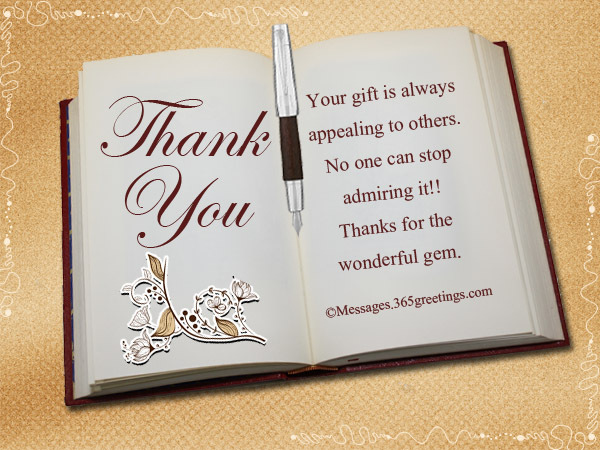 You should send these kind of thank you notes to the sender of the gifts, whenever you receive a gift. 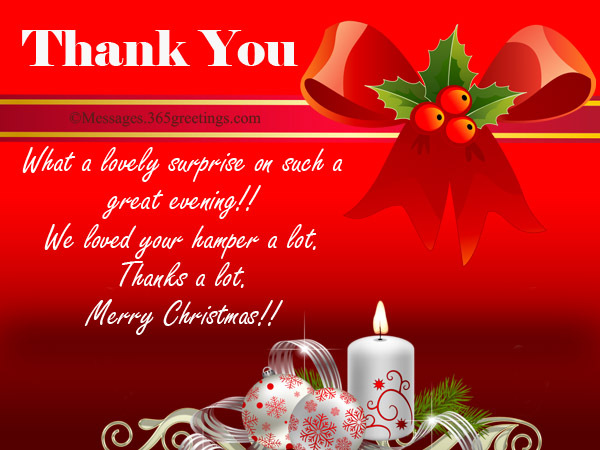 This will not only express your gratitude but will also double the happiness of the sender of the gift. Your gift shall be treasured forever. Thanks for making it to the occasion. And your gift is really lovely. We all loved it to the core!! Thanks for your thoughtful present. It is really very nice. for the gift that you gave. It was truly a treasure for me. You always knew what I wanted. This time also your gift was the perfect one. Thanks a lot for such a lovely gift. I liked your gift a lot. how much you love and care for me. the dress that you sent for the occasion. I receive your wonderful gifts. 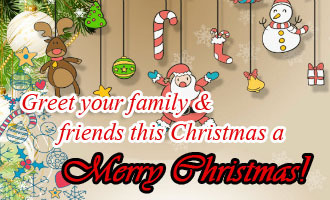 to receive a gift from you every year. it will be a very fruitful gift. will be treasured with us. Your gift is always appealing to others. No one can stop admiring it!! Thanks for the wonderful gem. has truly embraced our house. the most favorite item of mine. It wouldn’t have been easy. Thanks a lot for the effort, really appreciable. Having difficulty to write thank you notes for baby gifts? No problem, this section is going to help you. Here, you will get to explore the best thank you notes for baby gifts. you can write these thank you notes and send it to the people who have sent gifts for your baby on the occasions like Birthday, New Year, Christmas etc. You present for my baby is really lovely. Your gift was overwhelming for the kid. Your gift for our baby is really thoughtful. we are sure, it will be loved by our baby! Your gift has truly amazed my baby a lot. She is holding on to the lovely teddy till now. Thanks for the lovely present. Our baby did not even let us touch the gift. He liked it so much. Thanks for the effort of bringing his choice of gift. the perfect gift for the baby? He/she is loving it a lot! 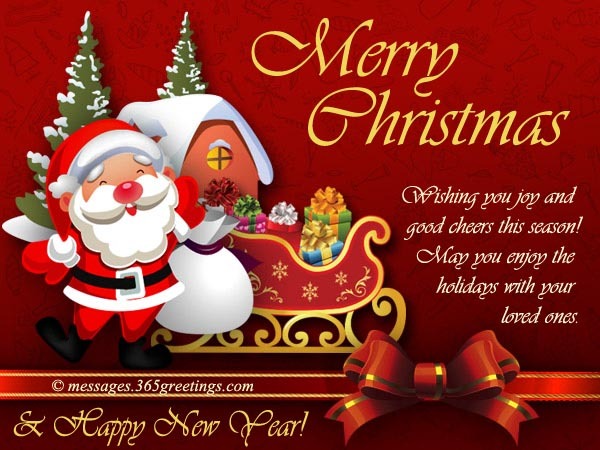 Christmas is a wonderful festival of joy and happiness. We send lots of gifts and we receive lots of gifts too. 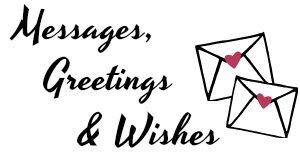 How about sending a sweet thank you note for Christmas gifts you receive and adding more joy to the Christmas celebration? I am sure, you agreed to this idea! And if you are wondering what to write in your thank you note for Christmas gifts, then don’t worry; this section has lots of thank you notes for Christmas gifts. feel free to use them to express your happiness and joy for the gift you have received this Christmas. Thanks for the scented candles. We loved them a lot. Thanks a lot for this beautiful Christmas tree. It has really adored our living room. Thanks for the lovely ornament gift of yours. It was really a treasure for us. Thank You for such a generous gift on Christmas eve. We were really charmed by your generosity. What a lovely surprise on such a great evening!! We loved your hamper a lot. to manage such a thoughtful gift. and it was really worth it. Loved your gift to the extremes. Thanks and Merry Christmas once again! We get lots of gifts on our birthday. We plan to giveaway the return gifts to our near and dear ones, in order to express our gratitude and joy of receiving the gift. But it is not possible to give return gifts to each and every one who has sent us a gift. For such senders, whom you cannot gift return gifts or are far away from your place, you can send thank you notes. In this section, you will read sample thank you notes for birthday gifts. You can send these notes to each and every one who has sent you a gift on your birthday. Thanks for the lovely birthday present. The day couldn’t have been better. by the awesome gift that you gave. I am going to cherish your gift for ever. by presenting such a lovely and charming gift. I am still in awe of it. was the best part of my birthday. and more after opening it. Love you and thank you for the wonderful piece of art. Wow! How thoughtful of you. It was incredibly generous of you to reward my efforts. Thank you very much! The saying that goes that ‘a friend in need is a friend indeed’ applies so much to you. My heart never stops to thank you for how timely your gift was in my situation. Thanks! Thank you so much for the beautiful gifts! You made me feel so special and loved. Blessings. When I opened my gift, it brought me to tears; you reminded me of when daddy used to surprise us with gifts before our birthdays. Thank you so very much! I just thought to say thank you for the fascinating book. It is amazing how much I have learnt from it. Lots of thanks my dear! I can’t go without showing my appreciation. Thank you for the cool gift! Lots of love. You are the best dad anyone could ever ask for. Thank you for remembering my birthday with a wonderful gift. Thank you so much for turning my anniversary into a memorable one. The gift you sent touched my heart in a special way. It’s amazing how something so different can become such an important part of me. Thank you so much for your heartfelt gift. It was so nice of you to send my son that awesome gift when he needed it the most. Thanks so much! The smile your gift brought to my husband’s face is sure to make him recover faster. This is just to say thank you so much! I wish you were here so that I could give you a big hug to say thank you. Thank you for remembering my graduation with this awesome gift. Thanks so much for the beautiful gift boxes you brought to my home. I can only thank the heavens for having a neighbor like you. It’s amazing how you knocked me off my feet with your gift. Thank you so much for being such a darling! It seems like I never get stuck in life because of you. Thanks for the gift basket, there is so much in there that I needed. You’re a blessing to me! I have to say I’m touched beyond words! Thank you for your great gift. Thank you for the perfect Christmas gift. 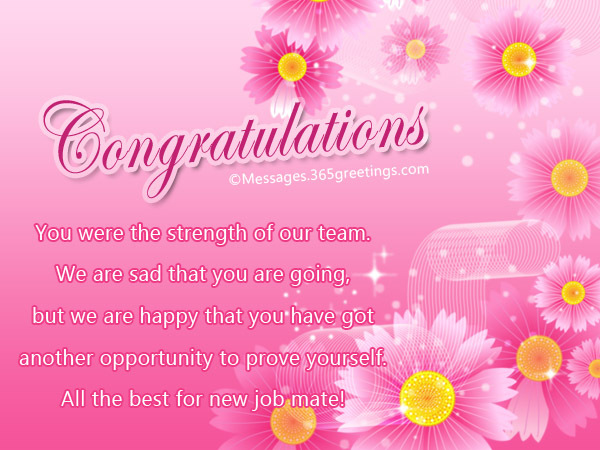 Wishing you all the best in what you do. Just thought to send you my appreciation for your thoughtfulness. I’m grateful for your gift and mostly for you. Thank you for making my holiday so special with your wonderful gift. Lots of love my darling! If I were to choose a mother in another life; it would still be you. Thank you for the gift and for always thinking of me. I must say that you never seize to amaze me. Thank you for sending me this lovely gift. I really appreciate it. Thank you so much. I’m overwhelmed by your generosity. I absolutely love your gift! I wish to send you my sincerest appreciation for taking the trouble to send me this lovely gift. Thank you so much! I want to say thank you for sending me this beautiful gift. Though thank you does not come close to how happy you have made me. You are the best! I wish you were here so that I could thank you personally for your special gift to me. But until we meet again, thank you so much for such a thoughtful gesture. These were the sample thank you notes for gifts. You can edit and modify these notes by adding you name, occasion and gift item’s name to personalize it. You can send these thank you notes by writing them on thank you greeting cards and giving them personally. 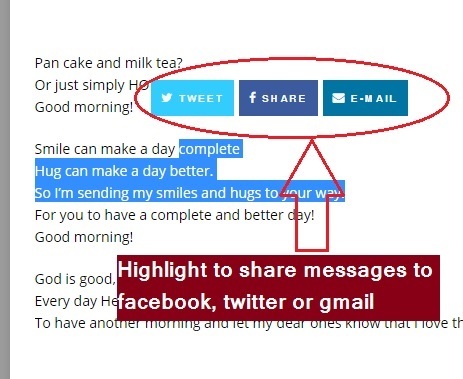 You can also send these thank you notes via SMS, E-mails or on social networking sites.